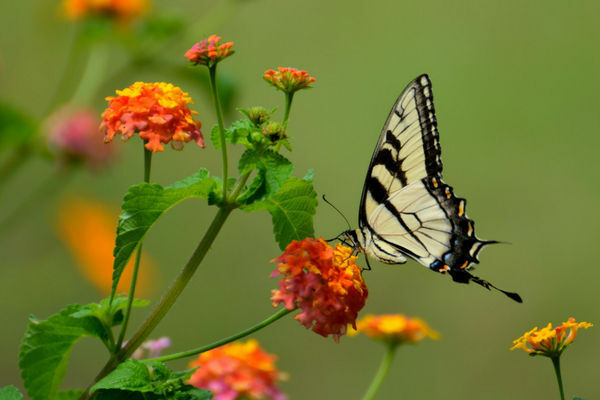 As I sit down to write this new blog post, I feel the fluttering start. The term “I’ve got butterflies in my stomach” has endured through the ages because it is so highly descriptive of that sensation. You know the one…it often starts as jitters in your stomach and the symptoms may escalate from there. Those of us who grew up in a certain era might hear a TV robot’s voice in our heads saying “DANGER, WILL ROBINSON!” Our brains are wired for survival and are constantly working to discern friend from foe. Our brains are also meaning-makers, and when those two imperatives collaborate, they often tell us a riveting story about the danger we’re in! And, as the saying goes, my story beats your facts every time. So what do you do when that fluttering starts? In my experience the first job is to figure out what it is that’s fluttering. Butterfly or moth? Love or fear? Is it a pollinator—connecting ideas in ways you hadn’t thought of before, leading you to new opportunities and experiences? That can be scary for sure. The pollination might mean trying things differently than you ever have. You might fail. But it’s GOOD scary. Those are the times to take the Superman/woman stance, breathe deeply, and lean in to whatever is new in front of you. You know what the path behind you looks like. This is your chance to forge ahead. There is love in this energy. Love for life, love for your potential, love for the unknown opportunities. 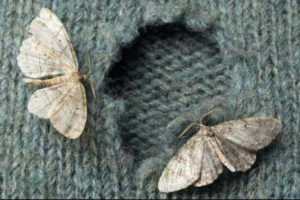 Or is it a destroyer cloth-eating moth? Are the fluttering feelings keeping you small and scared? Moths take the best natural cloths and snack on them all day. Your natural feelings of joy, curiosity, inspiration, and determination are a corner deli to the damaging moths. A little bite here, a little nip there, and suddenly your great idea has holes in it. It gets harder and harder to find anything to hang on to that doesn’t have holes in it. This is fear energy, and the saying “There is nothing to fear but fear itself” is spot on. Fear is like a closet moth. Left to its own devices, it will destroy everything you have in the closet. If that’s what’s going on, it’s time to shake it all out, and get some sunshine and fresh air in there. What’s real and what’s a scary story you’ve made up? There are books and articles galore are on the market about conquering your fears. The first step is recognizing that you have them. What’s That Fluttering In Your Stomach? So what’s in YOUR stomach on any particular topic? Is it pollinating your next leap or eating holes in your dreams? Get clear and get going! So right on! No matter how much I think I know about facing or dancing with the flutters, diagnosing some as moths can come a beat too slowly and anxious feeling takes over. Permission to pause and breathe through the fear. FEEL my WINGS.. While there have been holes past mending from time to time, they also have taught me what I might do next time to protect the cloth, or weave little patches, add a connecting thread or two and keep going, imperfectly stronger. Thank you my friend for all the times you’ve shared bright hope and insight. I love your continuation of the metaphor Beth. Thanks for reading, allowing it to land, and responding so thoughtfully! May we long bring hope and light to each other and the world!